A tangled web of lies finally unravels as Capcom's Keiji Inafune confirms that Dead Rising 2 will indeed have multiplayer. We've known that the game would contain multiplayer since Mental Mill's Laura Scholl announced at the Game Developers Conference last month that Dead Rising 2 would support 6,000 zombies on screen at one time during multiplayer. Soon after, however, Scholl cleverly threw everyone off scent by ingeniously telling the gaming world that she meant to say "multiplatform" instead of "multiplayer". So up until now we just assumed that the game would have 6,000 zombies on screen during multiplatform, which makes perfect sense. Now that we know for sure that there is multiplayer in the game, we can all get really pissed off when it comes out and doesn't contain a multiplatform mode. 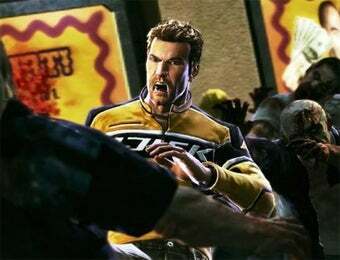 As for why Dead Rising 2 contains multiplayer when the previous title sold fine without it? Inafune explains. "We're at a point in game history that you need to have some form of multiplayer component in a game"
Because they have to. Excellent.